After almost a month in our campervan, it was time to say goodbye. 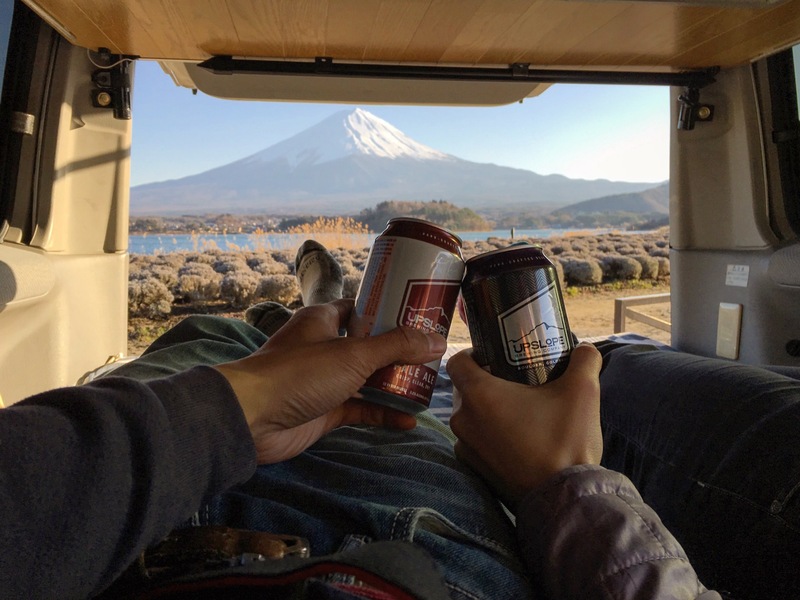 We spent our final evening in the van watching the sunset over Mt. Fuji. The next few days would be spent in one of the largest cities in the world. If you know us, we’re not exactly big city people and would take snowfields over skyscrapers any day of the week. 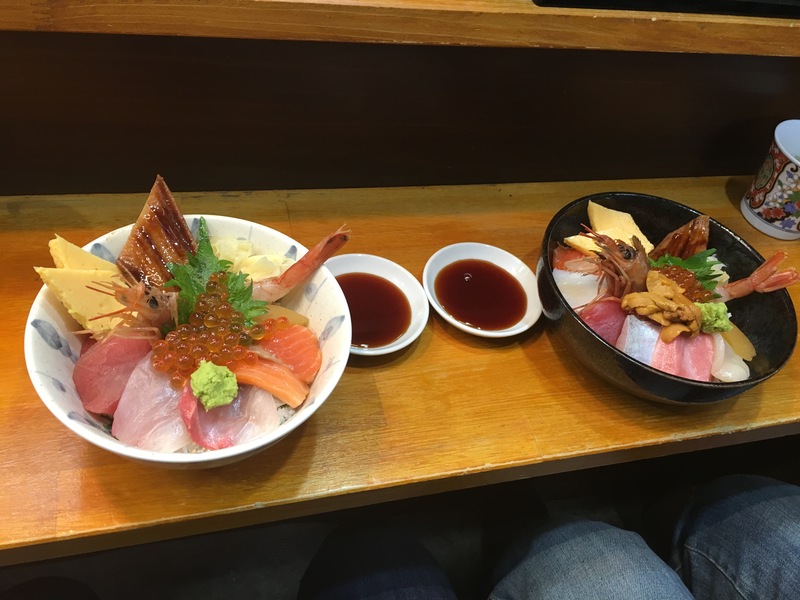 We started off easy by checking out the Tokyo Fish Market: Tsukiji. 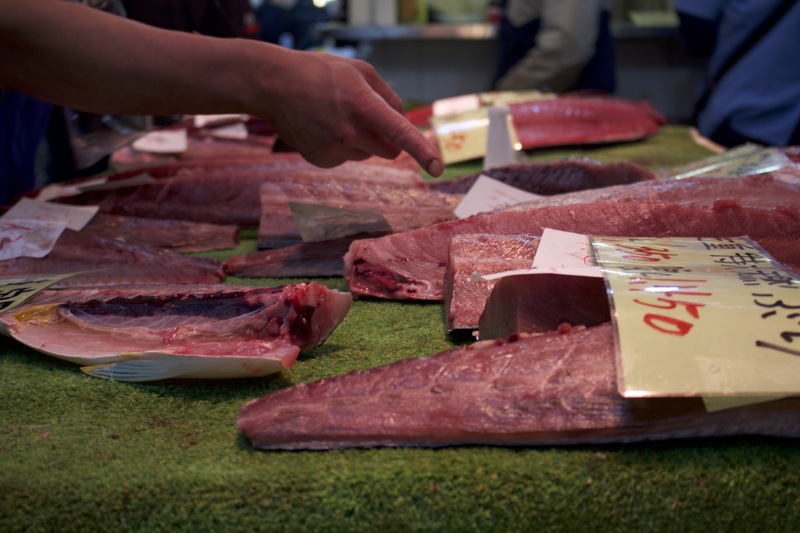 It is the world’s largest fish market and handles over 2000 tons of marine products every day. 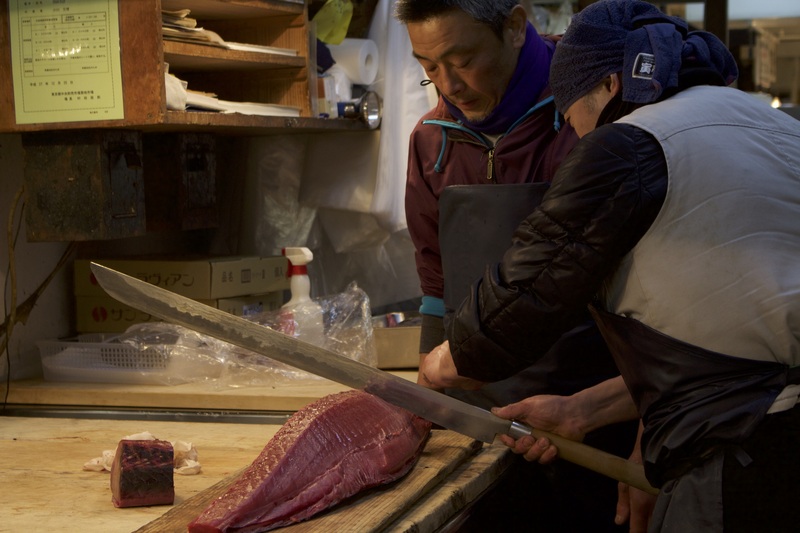 There’s an outer market filled with restaurants and retail shops, and an inner wholesale market where restauranteurs purchase fish for their establishments . The market is set to move on November 2, 2016 to a new facility, so visit this iconic place while you can. Undoubtedly, the new market won’t have the same feel. 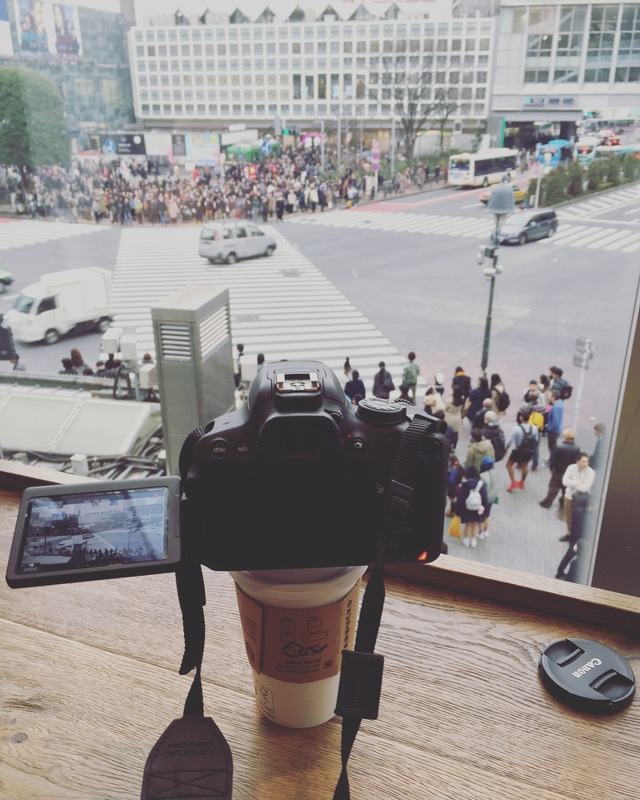 The next day, we trekked across town to Shibuya Crossing. 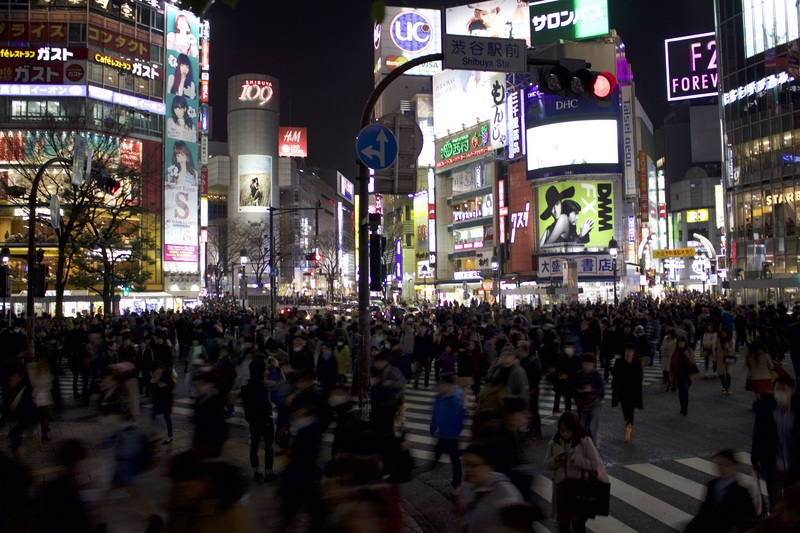 Shibuya is organized chaos at it’s finest. When all the traffic lights turn red, pedestrians on every corner dash across, making it the world’s busiest pedestrian crossing. We grabbed a cup of Seattle’s finest and watched from above. 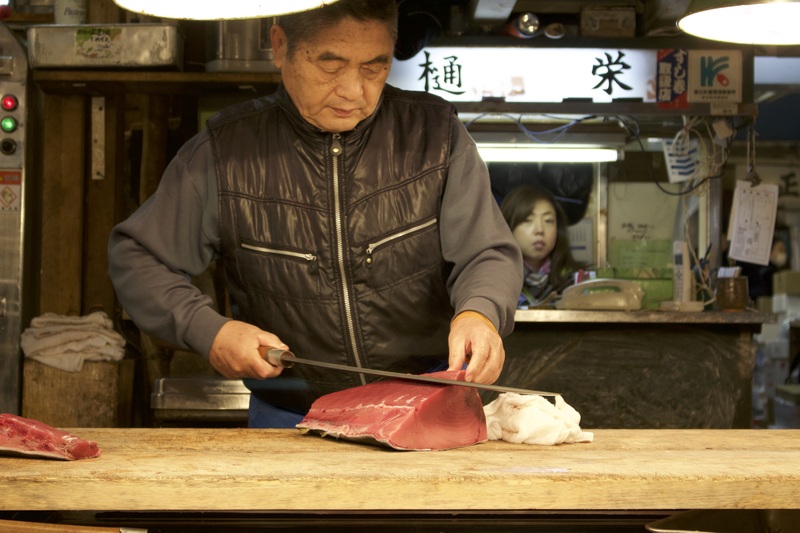 We spent our final night in Japan in the Golden Gai district. This district is filled with almost 200 small, unique bars that only have ten to twelve seats; a stark contrast from any bar here in the US. We hopped around until we found a bar that suited us and spent the night chatting with the bartenders and locals until the wee hours of the morning. Much to our surprise, getting around Tokyo is actually very easy. Once we figured out how to read the subway maps, getting around was a breeze. It also helps when random strangers are willing to help. More than once, a Japanese person would approach us, asking if we needed help figuring out how to get to our destination. On our way to the airport, strangers even helped us lug our over packed snowboard bags up stairs during the Monday morning rush hour. This kindness wasn’t just limited to Tokyo, as we experienced it in every corner of Japan we travelled. What a fantastic trip and super pictures. Thanks so much for sharing all your very cool adventures.